The Taiwanese manufacturer Asus launched five smartphones as part of its Zenfone 3 series in August 2016. These are the Zenfone 3, the Zenfone 3 Ultra, the Zenfone 3 Deluxe, the Zenfone 3 Max and the Zenfone 3 Laser. Among these handsets, the Zenfone 3 Deluxe is the most expensive and undoubtedly the manufacturer’s flagship model. At the Computex Conference 2016 event in June, the manufacturer stated that the first three devices will be on stands this year. However, the exact dates are yet to be made known. While the Zenfone 3 along with its Ultra and Deluxe variants aim to target high end customers, the Laser and Max counterparts will cater to the budget conscious. According to the manufacturer, these smartphones feature an exquisite and agile design that draws inspiration from nature. While the complete specification sheet of each of these handsets has not been released, at the conference the manufacturer has given some insight into what you can expect. The devices share some similarities while there are notable dissimilarities as well. The Asus Zenfone 3 comes with a glass and metal body. The front and back panels of this smartphone are made of 2.5D Corning Gorilla Glass and are enclosed in a metal frame. In contrast, the Asus Zenfone 3 Deluxe and the Asus Zenfone Ultra come with invisible antennas and fully metallic bodies with aluminum as the preferred choice of metal as is the trend with similar metal body handsets. The back panel of the Zenfone 3 has a glossy finish that makes it smudge resistant in contrast to the diamond cut finish of the Deluxe counterpart. Surprisingly, despite being lesser priced than the already mentioned Asus devices, the Zenfone 3 Laser also sports a metal body that makes it quite sturdy. But, at the point where the antennas are placed, there are chances of a bit of plastic being used. Likewise, the Zenfone Max also houses an entirely metal body. The three higher end smartphones have various colors to help you make a choice. 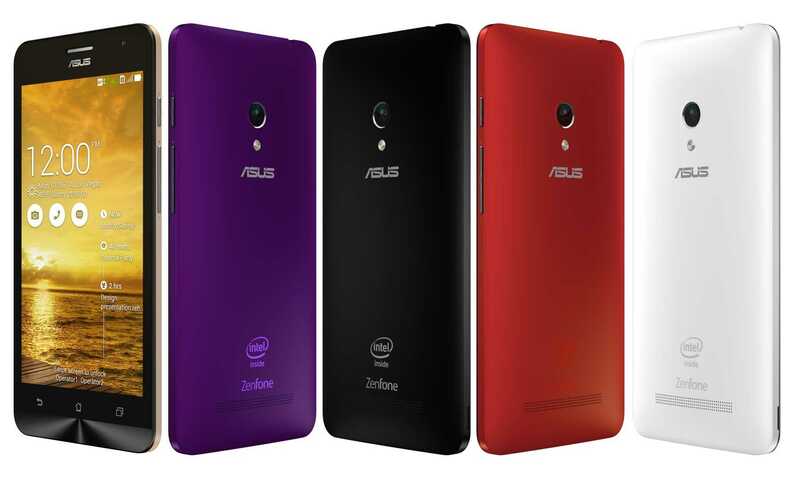 The Asus Zenfone 3 comes in color options of black, white and gold. This device is sized at 152.59 x 77.38 x 7.69mm and has a weight of about 155g. On the other hand, the Ultra is available in silver, pink and gray with a size of 186.4 x 93.9 x 6.8mm and weighs 233g. The Deluxe has three color options of silver, gold and gray with a size of 156.4 x 77.4 x 4.2mm and is close to 172g in weight. Needless to say, the Ultra device is the biggest and bulkiest. Interestingly, all five gadgets show major disparities with respect to their screens. The standard Zenfone 3 comes in a screen size of 5.5 inches with 1920 x 1080 resolution. The Full HD IPS screen is made of 2.5D contoured Corning Gorilla Glass and has a 178 degree wide viewing angle. With an oleophobic coating to make the display fingerprint and smudge resistant, the screen supports glove touch and a blue light filter for eye protection. The Asus Zenfone 3 Ultra has a dedicated display processor and has a phablet sized screen of 6.8 inches. It encompasses the same display technology, pixel resolution, wide viewing angle and blue light filter as the basic version. The key difference is that the display comprises full screen lamination and has Corning Gorilla Glass 4 for resistance to scratches. With a 5.7-inch screen, the flagship Asus Zenfone 3 Deluxe showcases features from both these handsets. The Full HD 1920 x 1080 resolution Super AMOLED screen incorporates Tru2Life technology while retaining other features such as blue light filter, Corning Gorilla Glass 4, support for glove touch and oleophobic coating for smudge and fingerprint resistance. While the Asus Zenfone 3 Laser is a 5.5-inch screen device with 1920 x 1080 resolution, the Asus Zenfone 3 Max has a slightly smaller 5.2-inch screen. The Zenfone 3 is integrated with a 16MP dual LED real tone flash that is equipped with optical image stabilization and various camera modes. The front of the handset houses an 8MP camera. In the case of the Zenfone 3 Ultra, there is a 23MP rear shooter and an 8MP front shooter that support all the Zenfone 3 camera functions. The 85-degree wide viewing angle of the front snapper is the key highlight. The cameras in the Zenfone 3 Deluxe are almost identical to that of the Zenfone 3 Ultra except that there is no support for multiple camera modes. All three rear videos are capable of recording 4K videos. The Ultra can additionally record 1080p videos at 30 fps while the Zenfone 3 can take photos and shoot videos at the same time. Targeting photography lovers, the Zenfone 3 Laser uses a 13MP camera with a Sony sensor and supports electronic image stabilization for enhanced video recording. Laser autofocus and advanced backlight HDR mode are the key functions of this smartphone’s camera. The Zenfone 3 and its Ultra counterpart have two options of 3GB or 4GB RAM with 32GB or 64GB internal storage respectively. This can be expanded by 128GB externally. The Deluxe has three variations. While all of them have the same 6GB RAM, the internal storage is either 64, 128 or 256GB with external expansion of up to 128GB. The standard handset is loaded with a 64-bit octa core Qualcomm Snapdragon 625 processor ticking at 2GHz and an Adreno 506 graphics processor. This is replaced by a 64-bit quad core1.8GHzQualcomm Snapdragon 625 processor and an Adreno 510graphics processor in the Zenfone 3 Ultra. As for the Zenfone 3 Deluxe, it has a 64-bit quad core Qualcomm Snapdragon 820 processor ticking at 2.15GHz, a 64-bit quad core Qualcomm Snapdragon 821 processor ticking at 2.4GHzand an Adreno 530 processor. All of them have Android 6.0 Marshmallow installed out of the box coupled with the new Asus Zen UI 3.0.